PASADENA, CA/USA: February 21, 2016- Barbwire covers a crossbeam over a concrete waterway. 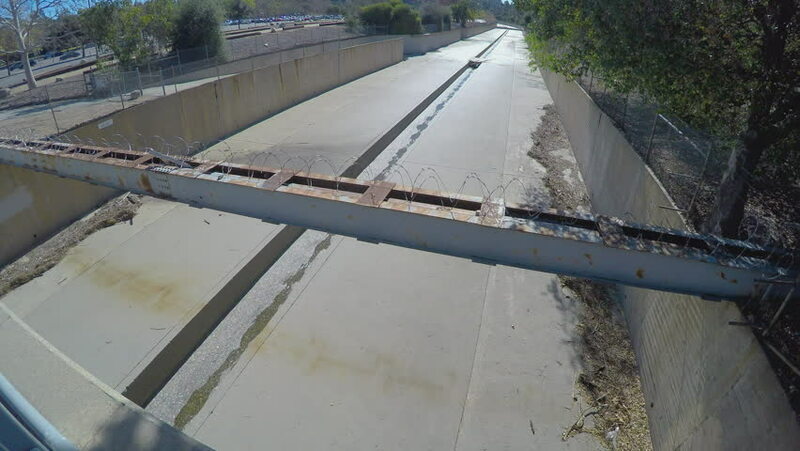 The city employs preventative measures to stop trespassing and graffiti in drainage ditches. 4k00:38A tilting aerial reveal shot of the Dallas, Texas skyline. hd00:11Anodizing, aluminium production line factory, anodising, electrolytic passivation process to increase the thickness of the natural oxide layer on the surface of metal parts.